The demo program consists of a one time $25 fee which is valid for 90 days. You are allowed to take one to two racquets out at a time for two days. A $3.00 penalty will be charged each day the demo racquet(s) is late. We will deduct $20 off the stringing price with a purchase of a new racquet. 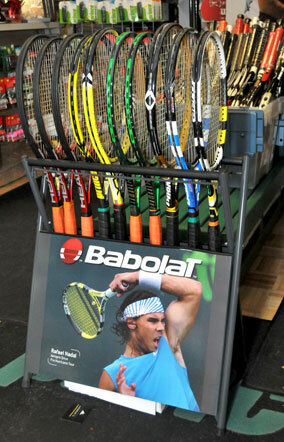 •Monthly specials and clearance racquets do not apply.